Documentarians and news-gatherers who record sensitive material from confidential sources live in terror of having their cameras seized and their storage-cards plundered by law-enforcement; they struggle to remember to immediately transfer their files to encrypted laptop storage and wipe their cards while dodging bombs in conflict zones, or simply to remember to have robotically perfect operational security while they are trying to get a movie made. More than 150 filmmakers, led by Laura Poitras -- creator of the Oscar-winning Citizenfour, about the whistleblower Edward Snowden -- and the Freedom of the Press Foundation have petitioned Canon, Nikon, Olympus, Sony, Fuji, Kodak and Ricoh to add full-disk encryption to their cameras. There are hurdles to this: full-disk encryption is more processor-intensive than cleartext I/O, so the cameras may need more powerful processors and more capacious batteries (though smartphones do a lot of encrypted I/O without batting an eye). More significant may be the problem of passphrases and key-management: the control buttons and knobs on cameras are pretty limited (unless they are touchscreen based): if the passphrases for cameras are simple enough to be keyed in on a four-way rocker pad in a few seconds, they might also be amenable to brute-force attacks by state-level adversaries. But for high-end cameras with fast processors, capacious batteries and touchscreens, this feels eminently do-able -- and it also calls out for the expansion of existing free/open replacement OSes for these cameras that have features the manufacturers aren't willing to try out. In the meantime, documentarians remain in serious personal risk, as do their sources, and whatever the hurdles of making crypto work for cameras, it's got to be less onerous than the existing practices, which include swallowing memory cards during police stops. Beyond filmmakers, photojournalists are just as vulnerable. 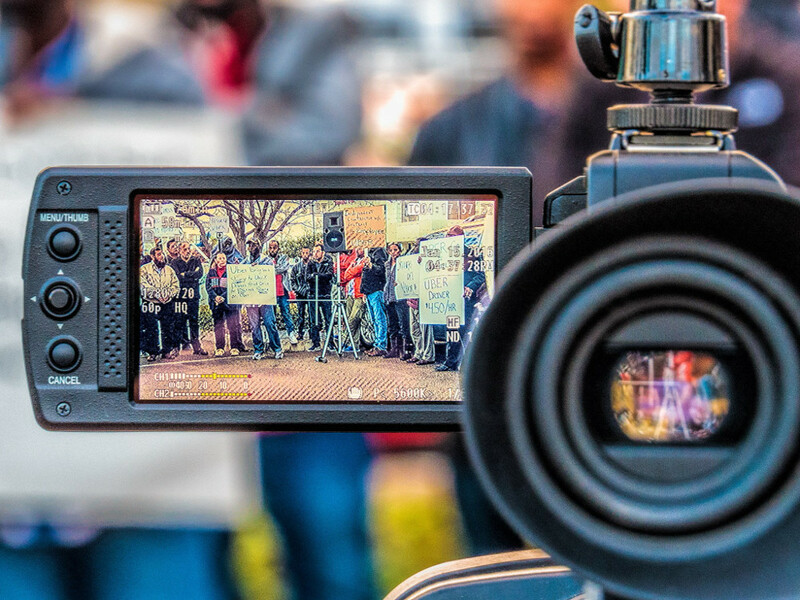 The Committee to Protect Journalists says seizures of photojournalists’ cameras and other devices occur so often “that we could not realistically track all these incidents,” according to the group’s activism director Courtney Radsch.